We would tell you that we don’t know anything coming about kid events, but we would be joking. Kids events are always happening around Atlanta. However, many people don’t know where to find them. We find them all the time. We want you to come visit us as often as possible and that’s why we keep these events coming. Monkey Joes is having a PJs party this weekend. We wanted to go, but we would be the biggest kids out there. This is going to be a great moment for the kids to have fun before they start school again. Come on out for a last hoorah before school starts back. $5 admissions ALL DAY for all kids who come in wearing their pjs. No coupon is needed. 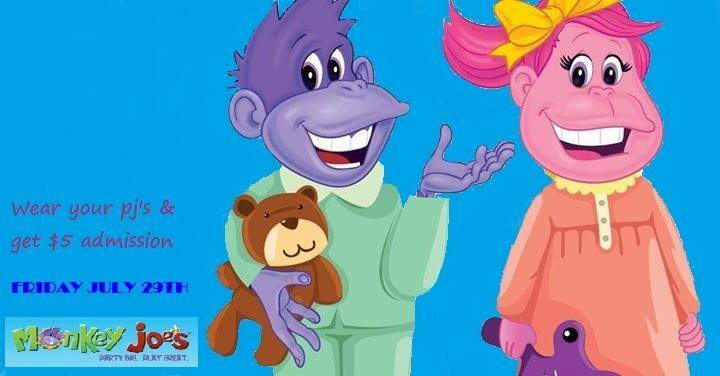 So grab the kids and head out to Monkey Joe’s.